The first Big Break of the year. Where I get to interrogate a debut author about their new book. 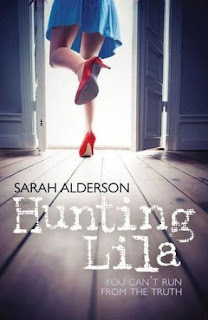 This week I have had the pleasure of featuring Sarah Alderson, author of Hunting Lila and Fated. Sarah is quickly becoming one of my favourite authors and I was so happy she agreed to be questioned by me. Thank you so much for having me! I love your blog. I spent a year after finishing university temping in the private sector in posh banks and got very quickly put off by the whole environment. I’m a hippy at heart and pretty rebellious when it comes to following orders. I got fired from a job at Accenture! At that point I thought I needed a change of sector so I entered the charity world. I ended up working for about eight years at a charity in London, working my way up until I was Head of Projects. Which basically means I was very bossy, made up a lot of nonsense in order to get funding and had a lot of meetings with patronising men twice my age. It was great fun most of the time; I had a brilliant team and together we created a lot of very cool volunteering projects that helped thousands of people – refugees, elderly people, people suffering from mental health issues and kids who weren’t in education or employment. It was an amazing thing to feel like I was making a real difference to people’s lives rather than just making rich people richer. You and your family now live in heavenly Bali. Tell us about your journey to find the dream place to write? My husband and I decided that we wanted to live somewhere else – we’d had enough of commuting and juggling childcare in London - so we packed up our bags and took our then 3 year old daughter around the world for 9 months to look for somewhere else to live. It was epic – the most amazing time. We started in India – Alula (our daughter) wore her pink tutu and went to school on the beach in Goa whilst we both worked on our laptops at beach bars! I was writing the sequel to Hunting Lila at the time. After a few months in India we travelled through Singapore and on to Bali, which we totally fell in love with – it’s such a magical place, with all the beauty and vibrancy of India only with better toilets. We spent another three months there checking it out, after which we carried on to Australia and then finally to the US. I have so many incredible memories of that trip. We returned to the UK for just a month to stock up on Marmite before we moved to Bali for good. I can write anywhere, so long as I have my laptop and my music, but Bali is the perfect place to write. It’s the most peaceful place in the world (once you learn to tune out the geckos, the frogs, the cockerels and the dogs) – I’m so relaxed there and without too much to do or worry about it’s easier to focus on writing. How long did it take you to write your debut novel ‘Hunting Lila’? It took about four and a half months. But it was ridiculously long. I had no idea how many words YA novels were supposed to be so I just wrote it. And then I spent a few weeks editing it (kind of). And then I sent it off to agents. Now I look back I wonder how on earth I got to where I am – but there’s something to be said for naïvete. Where did you get the idea for Hunting Lila? I was tired of reading about girls swooning after boys with supernatural powers and waiting to be rescued. I wanted to write about a girl with a super power who didn’t need rescuing. And then I thought wouldn’t it be cool if she was part of a conspiracy and what if her mother had died because of it and what if she’d been in love with this boy for as long as she could remember and I kept saying ‘what if’ and it just flowed from there. No, Hunting Lila was my first ever attempt at writing a book. Haha – don’t tell me that’s obvious! Sara and Jack go for a weekend jaunt to Catalina Island and there were a few Alex and Lila scenes on the beach, which did nothing to further the plot, only to further my fantasies of Alex with his top off. So I had to lose them (sigh). Once I’d cut the words we did a quick line by line and it was ready. I got my agent in early March 2010. I think we sent out the book for submission at the start of June and I signed my contract with Simon & Schuster. We were having a party at our house in Bali. It was a Friday night. I had spent the previous three weeks on tenterhooks as publishers came back to my agent with rejections and some interest. I knew that the editor at Simon & Schuster had taken Lila to a submissions meeting that day and I literally was teetering on the edge of a nervous breakdown. I had constant butterflies in my stomach and couldn’t eat a thing. And then at about 9.30pm our time in Bali I had a text from my agent with the offer (I still have the text). I was on our balcony and my husband was beside me. My hand was shaking as I opened it. And I just burst into tears. It felt like a complete release of all these hopes I’d been holding onto. I couldn’t believe it. The cutest thing was my daughter and her friend were playing nearby and were so excited by my reaction (though they had no clue why I was laughing and crying and hugging John) that they started throwing bits of torn up paper over us like it was confetti. Then we hugged them and went and opened a bottle of champagne and celebrated with all our friends. It was brilliant. I signed in July 2010 and Lila was published in August 2011. 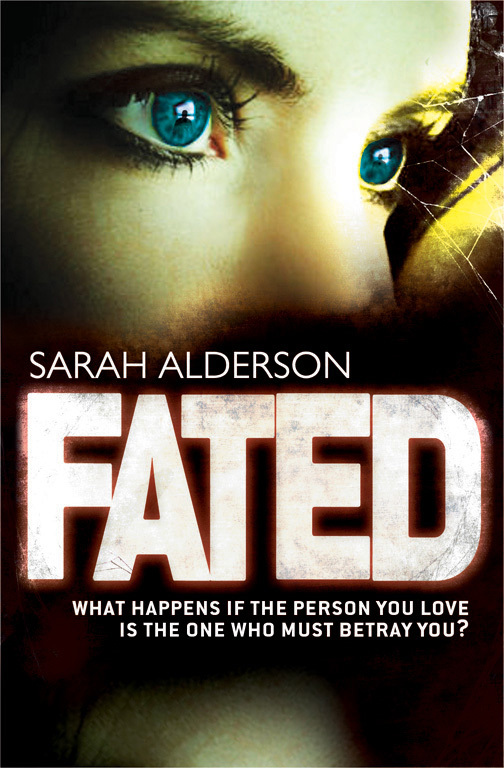 Fated was accepted in November 2010 and is being published in January 2012. It’s a long wait – but I know that’s actually quite short in comparison to some authors who wait years. For six months nothing much! Which is why I wrote Fated. Whilst I was waiting for Fated and Hunting Lila to be published I wrote two and a half more books. Then about nine months before publication it becomes quite frantic – with edits flying back and forth. Thankfully for both my books this has only ever been line by line and not a plot restructure. I find it only takes a couple of days to do the amends as often it’s just a sentence or two that isn’t working or a problem with continuity, nothing too major. I have since learnt about ideal word counts! Sometimes I’m asked to make a kissing scene less steamy (that happened in Fated)! There was a lot of debate about the covers too. After the manuscript is sent back and forth between me and my editor it’s sent to a copywriter who checks it for continuity and grammar errors and then they print the unproofed copies for review. I have to wait two weeks for those to arrive in the post to Bali. At first I couldn’t bring myself to read the uncorrected proof for Hunting Lila. But then I did and was so glad, as I picked up a dozen or so errors. It’s much easier to proof it as a book than on screen. The final changes are made at this point, signed off, and then it’s sent to print with lots of prayers. It’s usually at that point I remember I’ve forgotten to mention someone in the acknowledgements and / or discover a glaring continuity error half way through. With Hunting Lila I kept busy by writing three and a half more books and spending a lot of time online promoting Lila. Also I must admit to a dangerous massage habit. If I’m not writing I’m normally occupied with having a massage or watching the latest offering from HBO. There’s plenty to keep my busy! You are about to see the release of your second book ‘Fated’. How different is it from your first book? Well Evie, the main character is seventeen like Lila, and like Hunting Lila this book has got a lot of action in it and the bonus of a very, very hot guy. It’s also a thriller with plenty of page turning conspiracy moments. But whilst Hunting Lila was told through Lila’s eyes, Fated is told from two perspectives – both Evie’s and Lucas’s (the half Shadow Warrior, half human sent to spy on her and then ordered to kill her). There’s a cast of really cool secondary characters too – not all of whom are human. have revenge as a central theme too. So maybe, deep down, I have a thing about vengeance! Do you feel just as excited by its release as you did with your first book? Yes. I feel really nervous though, in case it doesn’t get the same amazingly positive reception as Lila did. When you love characters so much and have invested so much in them and their story it’s hard waiting to hear whether others feel the same way or not. Where did you write ‘Fated’? I started writing Fated when I was in California, on the last stretch of our round the world trip. We were staying with friends and they have the most incredible house just north of LA. I was desperate to start writing as the idea for Fated had been in my head for a while bursting to get out, and then John took Alula to the beach for the day to give me some space. I sat at the table with my laptop and opened a new document. I can still remember writing the first line. I finished Fated about two months later back in Bali. I’ve just finished two sequels to Fated, which I wrote in very quick succession (the last one only took me 30 days). I loved the characters so much, and wanted to write about what happened to them next, even though I didn’t have a book deal. For the last couple of weeks I have been crazy busy promoting both books. But I’m also writing a sixth book - a totally new story. It’s very different to both Hunting Lila and Fated and I’m really excited by it. I studied female resistance to Fascism and I’m very interested in how during times of war some people accept the way things are, even when really inhumane acts are being carried out right in front of them, whilst others resist even when to do so is suicidal. I’m especially interested in the ways that women contribute to resistance movements. On top of this, I’m also writing a short story spin off from Hunting Lila – about Suki and how she first got involved with Demos. And yes, Alex will be in it! It’s going to be sold as an e-book and all profits will be going to my friend’s charity Girltank which supports young women around the world who are making social change happen. For me probably the most exciting part of getting a profile as a writer is being able to use it to promote the causes I feel strongly about, and empowering women is probably the most important one for me. she does I’m on mummy duty until she goes to school. Around 8.30 I’m back at my desk and will work solidly for several hours. If I’m having a plotting day I’ll always go for a swim – that’s where I do most of my plotting and thinking. Ok, and sunbathing. I’m a total social media addict so I’ll stop every fifteen minutes or so to check email and Facebook and Twitter. I stop working most days at 2pm so I can pick my daughter up from her school in the middle of the rice paddies. Normally if I’m in the throes of a book I can’t think about anything else, so once Alula is in bed I’m back in front of my computer – though I’m a morning person, usually I’m brain dead and only ready for a G&T by 7pm. Keep writing and keep believing! I keep hearing people scoffing at the idea of writers getting their first manuscript accepted. I got my first and my second! It is possible and I hope people draw inspiration from me rather than listening to the negative comments out there. you oh so much more attractive when the deal is about to be. Thank you Sarah for giving us fantastic answers. I am a little envious of your writing life. Both Hunting Lila and Fated are available to buy now. I love reading about Sarah's writing life and her journey to publication! So inspiring and I can't believe how quickly she writes! Eeek! Leanna - she is just so inspiring. I want to read those too. You just know they will be hot! This is so interesting, great interview. Life in Bali sounds rather lovely. Wow, what a great post. I'd love to do some more travelling, her trips sound fab. Fab interview, wistfully thinks about all that traveling and the books sound fab. Love the remarks about Twitter! wow, great interview ladies. *sigh* to travel like that must be wonderful. 'I wanted to write about a girl with a super power who didn’t need rescuing'<-the books sound really good.